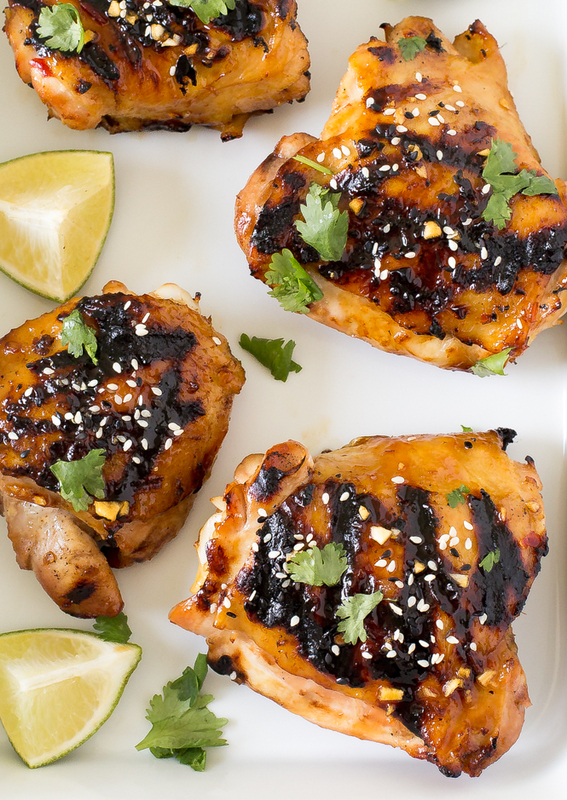 Super Easy Thai Grilled Chicken marinated overnight and grilled until crispy on the outside and juicy on the inside! 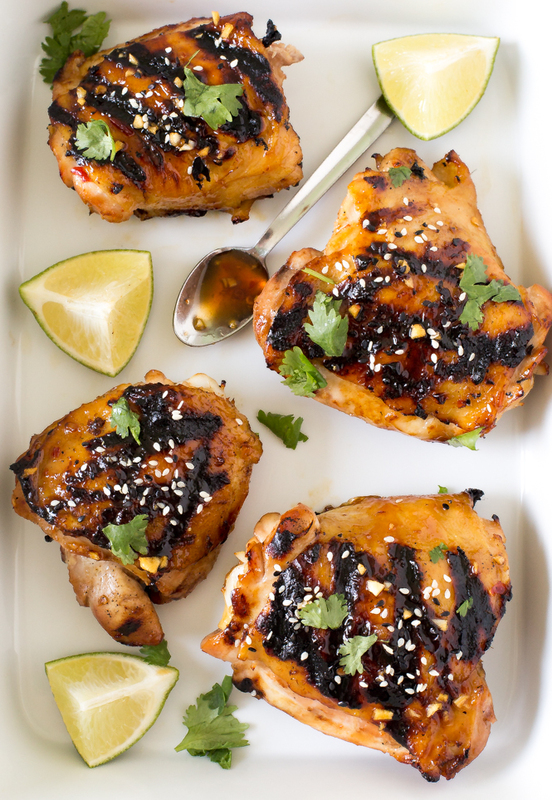 This Thai Grilled Chicken is one of my favorite ways to prepare chicken on the grill. 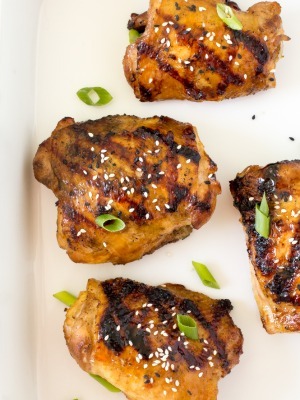 The chicken gets marinated overnight or for a minimum of 3 hours and grilled until crispy. The chicken comes out incredibly juicy and tender on the inside. 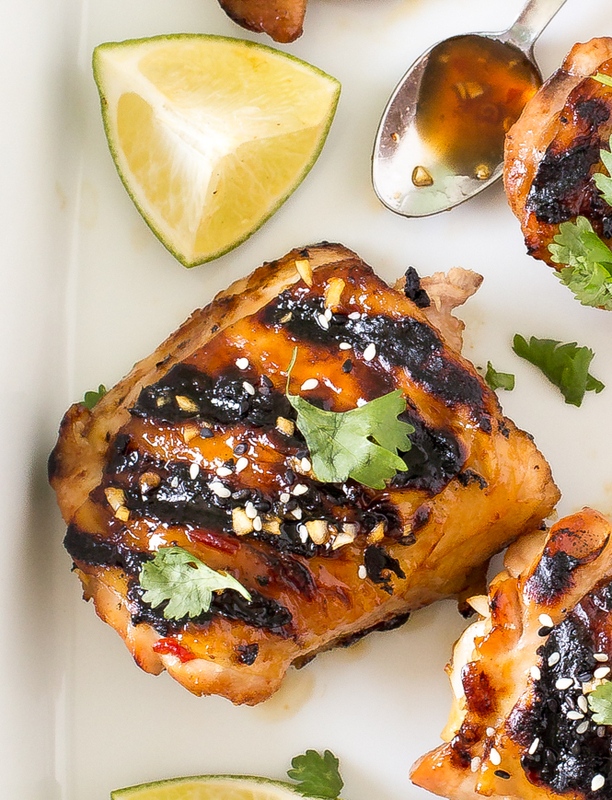 This Thai Grilled Chicken is loaded with flavor. The marinade is made of fresh ginger, garlic, thai chili sauce, low sodium soy sauce, fish sauce, light brown sugar, fresh squeezed lime juice and Sriracha. You can make it as spicy as you would like with a kick of sriracha. I like to double the amount in this recipe because I like it extra spicy! When you’re ready to eat preheat the grill to medium-hight heat and cook for 5-10 minutes on each side until fully cooked. I love to serve this Thai Grilled Chicken with Cilantro Lime Rice and a Salad. It’s the perfect summertime meal! Add all of the ingredients except for the chicken to a medium bowl. Pour the marinade into a large ziplock bag reserving ¼ of the marinade for brushing on top before serving. Add in chicken and place in the refrigerator overnight or for a minimum of three hours. When you're ready to cook heat your grill to medium high heat. Cook for 5 minutes, flip and cook for an additional 5-10 minutes or until fully cooked. Brush the remaining marinade mixture on top of the chicken. Serve immediately with fresh cilantro, sesame seeds or lime wedges if desired. Holy yum. Is it dinnertime yet!? 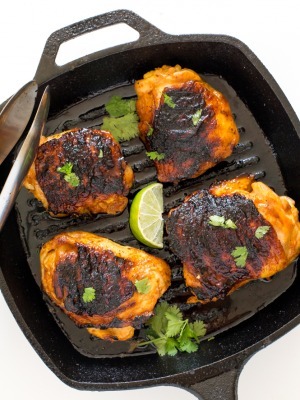 This chicken looks SO flavorful and so darn tasty. This is sure to be a huge hit around my house! Is Chili Garlic Sauce the same as Thai Chili Sauce? Yes the chili garlic sauce is the same as thai chili sauce. Thanks & Enjoy! Awesome I have that already. Thanks for this recipe Kelley it looks so delicious. I am a big fan of Thai food. This looks so delicious and it seems easy to make.